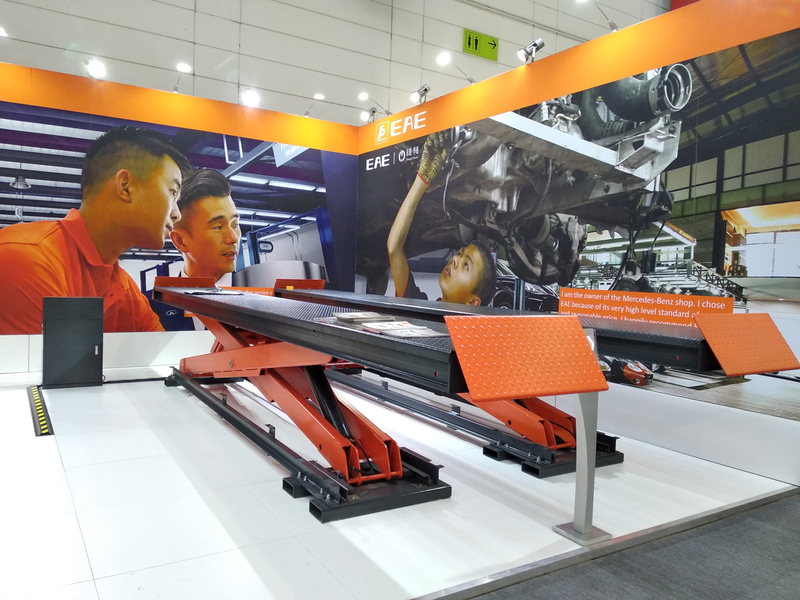 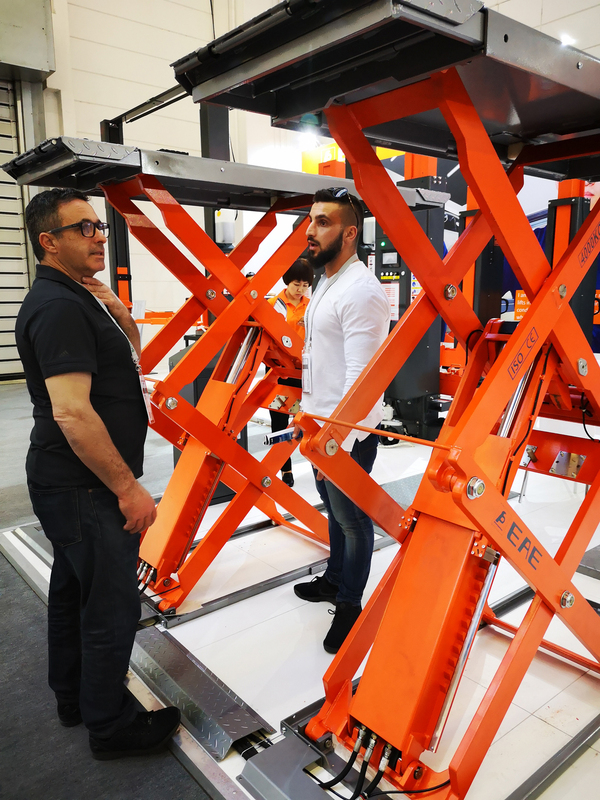 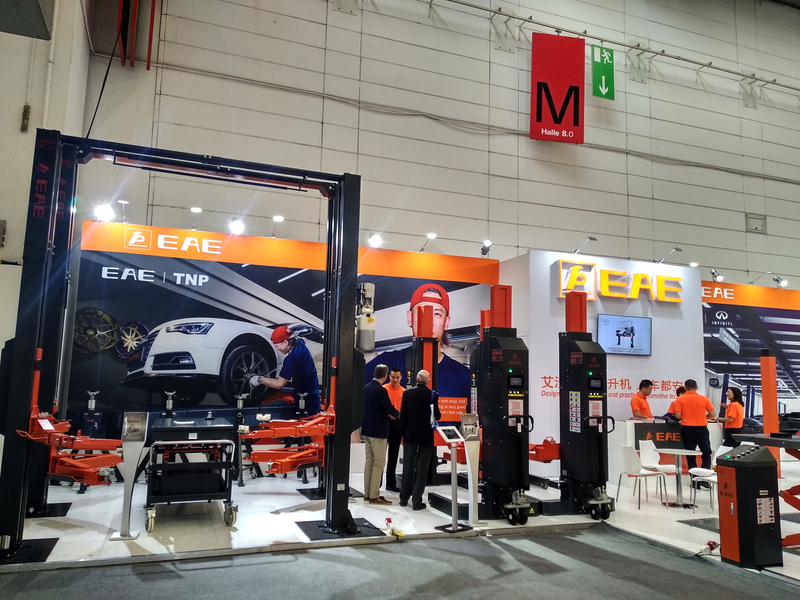 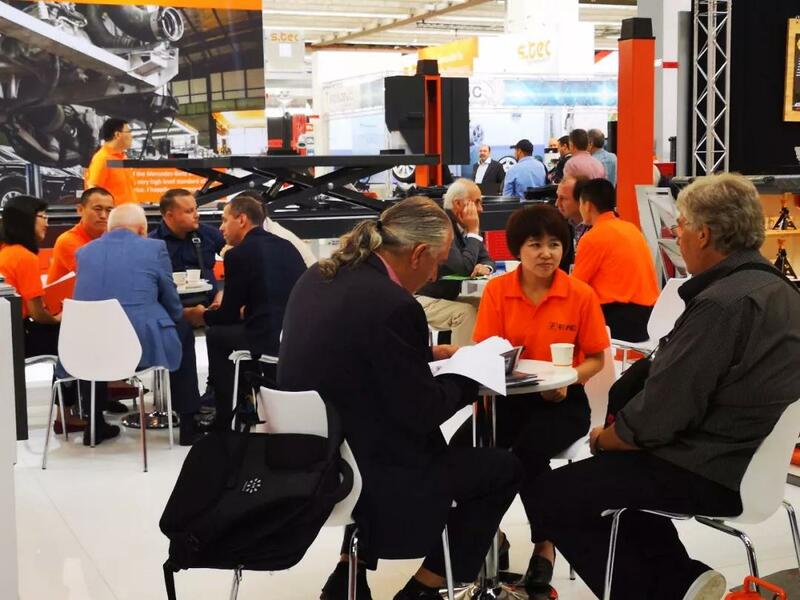 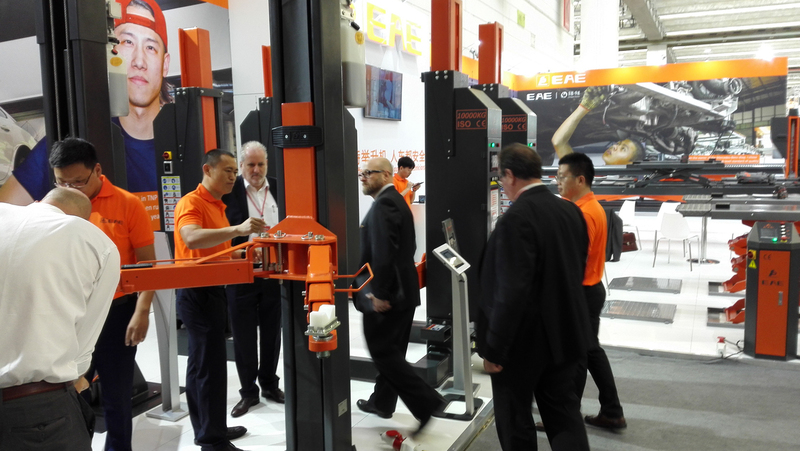 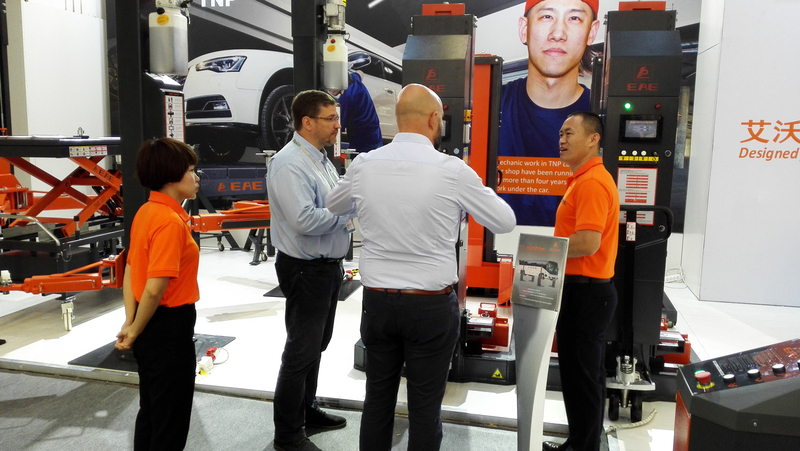 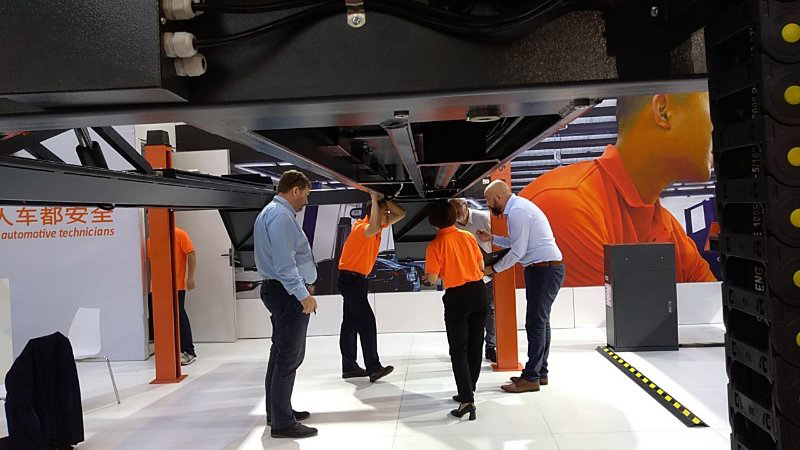 In Automechanika Frankfurt, today’s world leading trade fair for the automotive service industry, EAE, introduced intelligent heavy-duty lift products, opening a new era of smart lifting by technology. 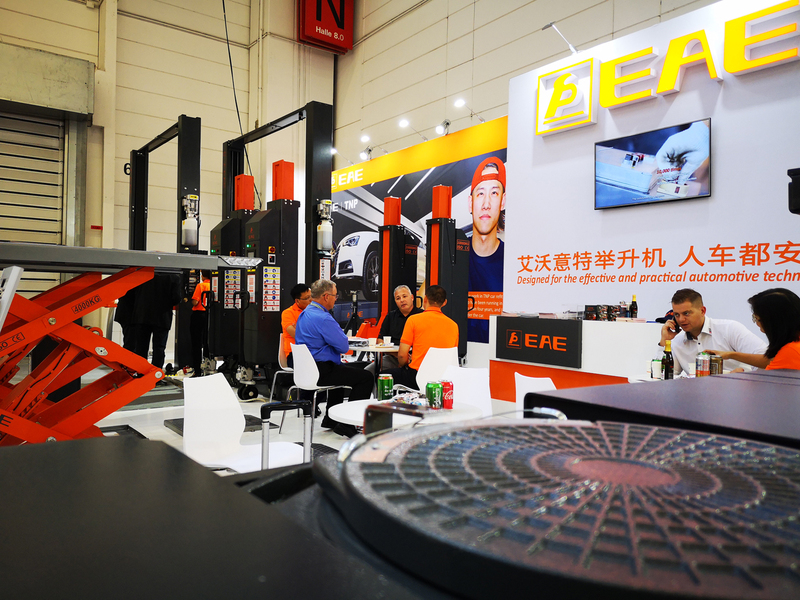 Innovative technology and sophisticated quality, attracted lots of customers to visit and experience, also many peer technicians came to EAE to learn and discuss. 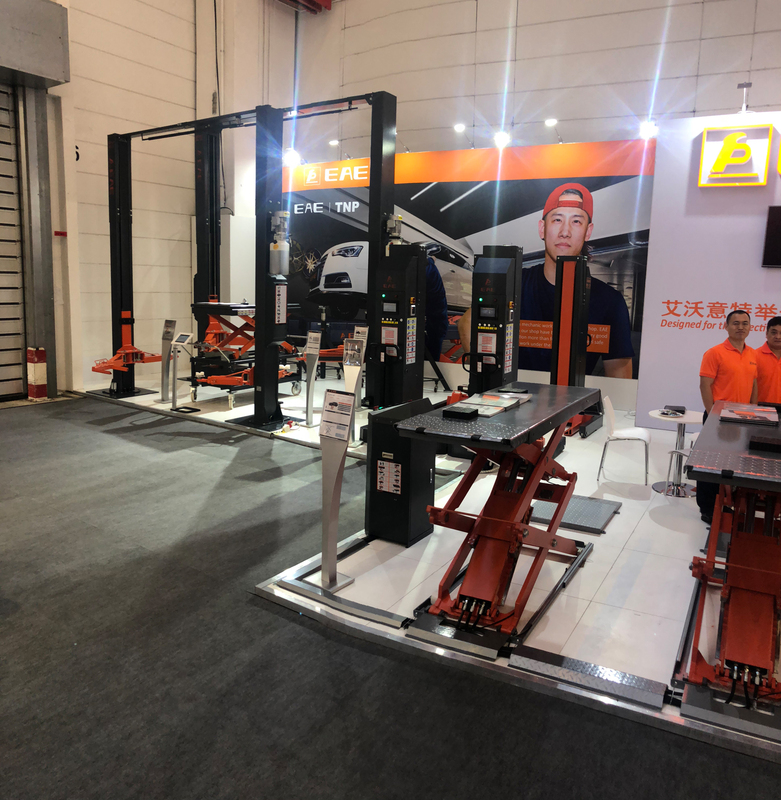 The intelligent heavy-duty lifts exhibited in Automechanika Frankfurt all adopt WLAN control system, which can realize the wireless control as well as machines’ combination & interconnection. 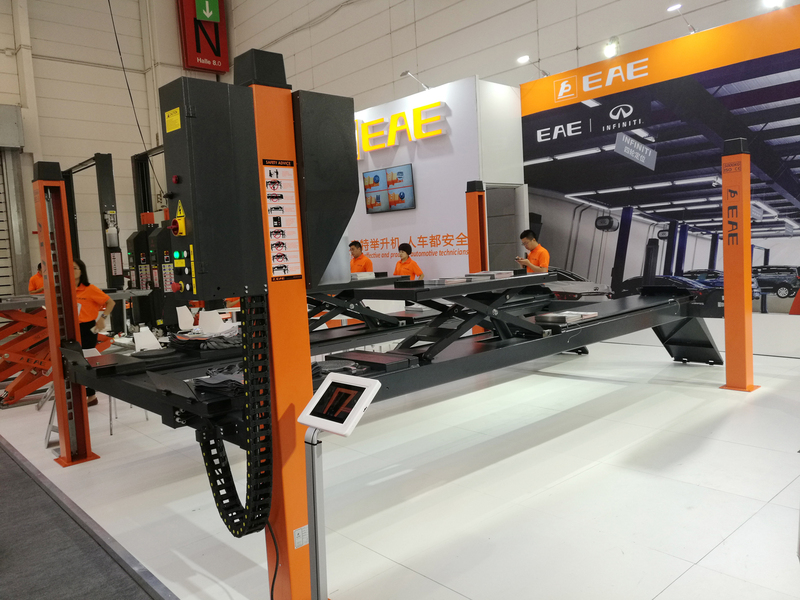 This indicates that the EAE will continue to develop in the direction of intelligence, and meanwhile, EAE is already standing at the world's leading level in technology. 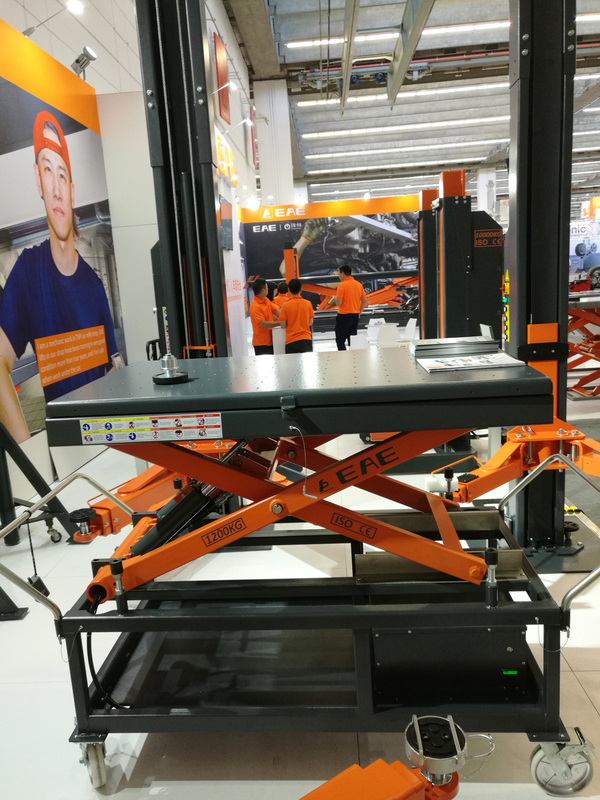 No worry if the work room is not big, No worry if the foundation is not thick, No more need to work in the depressed pit! 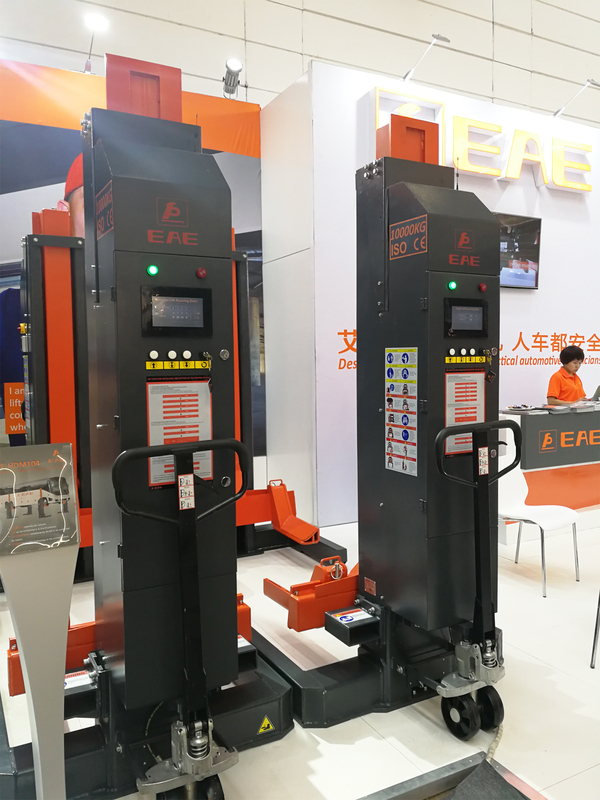 EE-HDM104 mobile column lift，Make your repairs easier, more efficient and more comfortable! 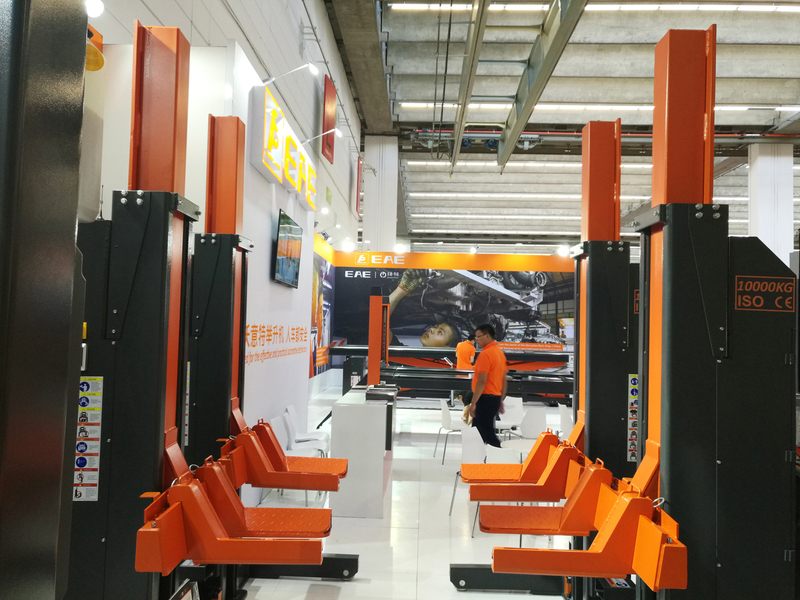 Make your repair & maintenance more comfortable, Make your repair & maintenance more efficient, Make your repair shop more professional and tidy! 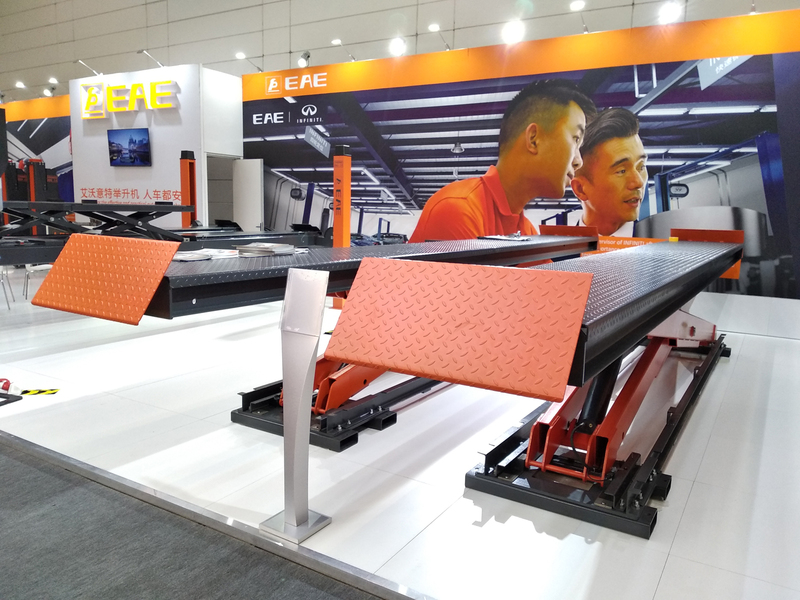 Prev：A table that is cute,smart,friendly Next：Really? 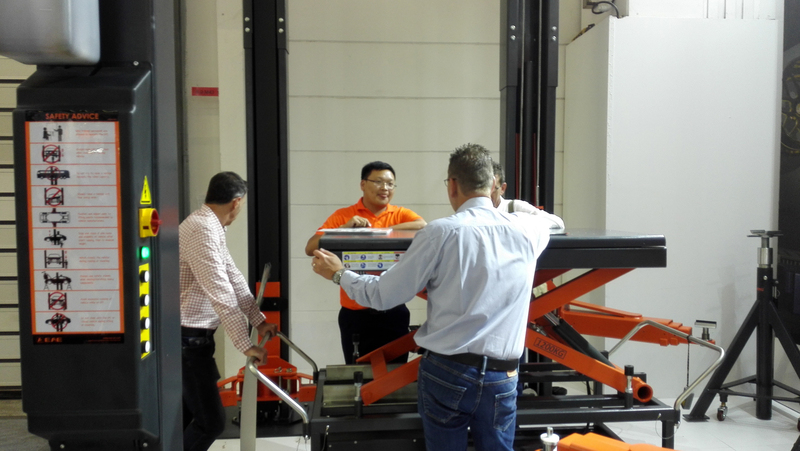 Yes, the vehicle lifts can really be made like this!